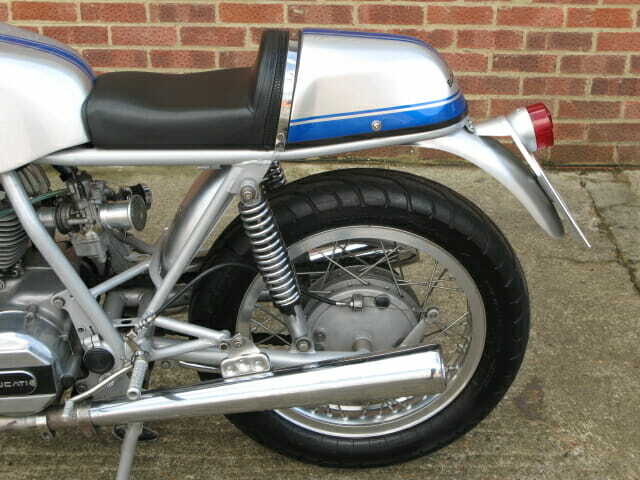 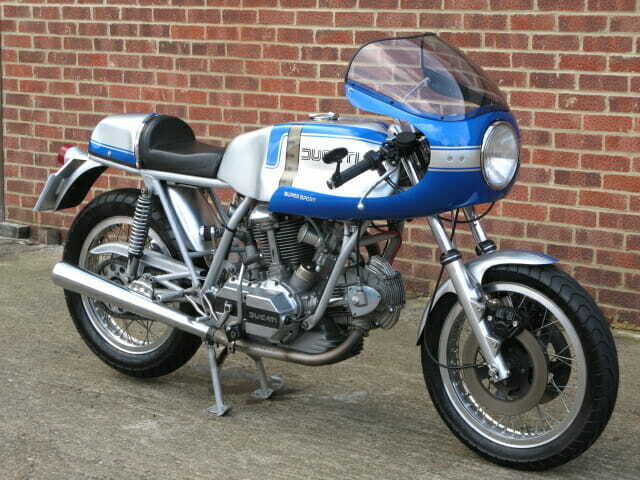 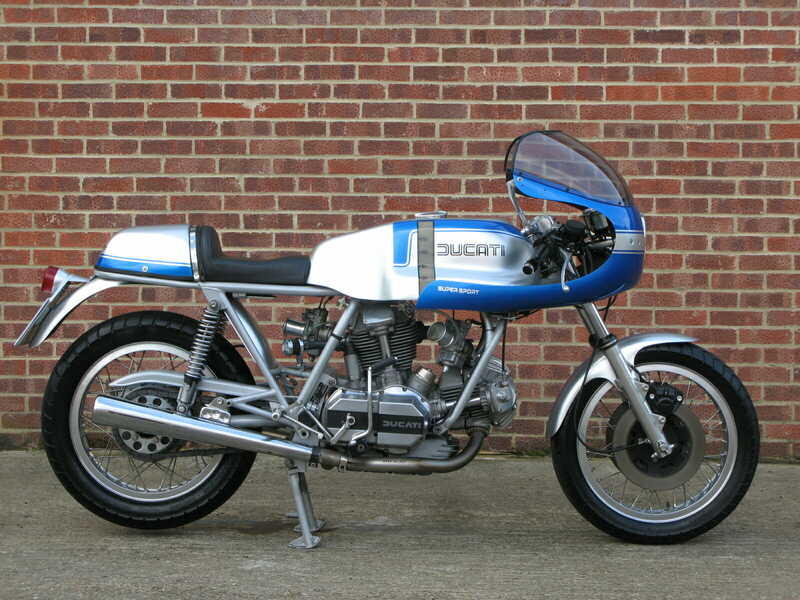 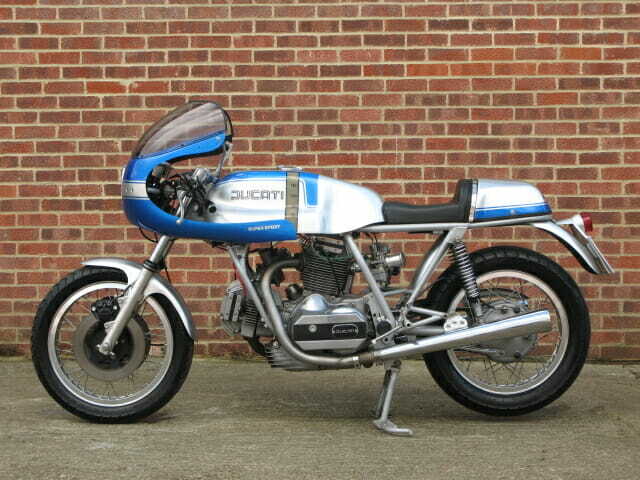 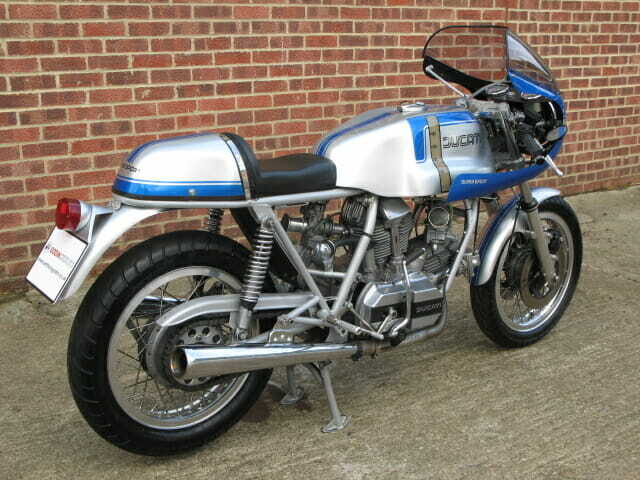 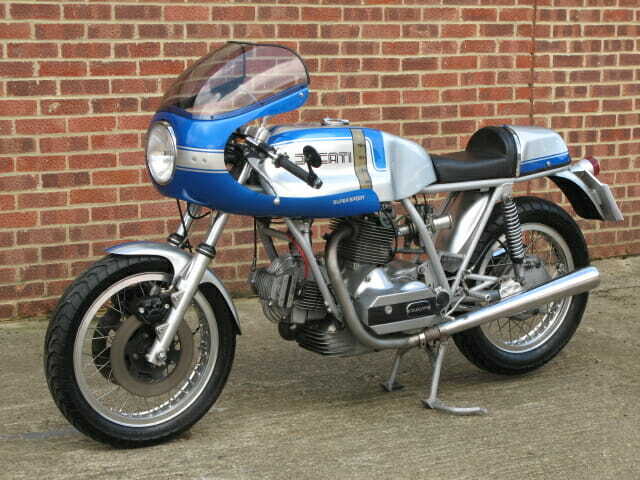 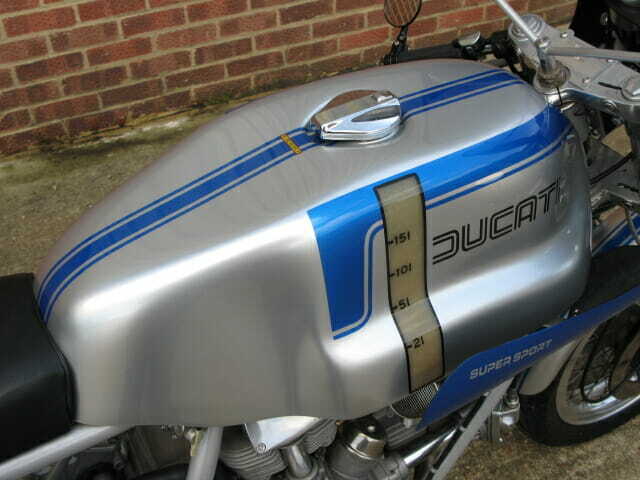 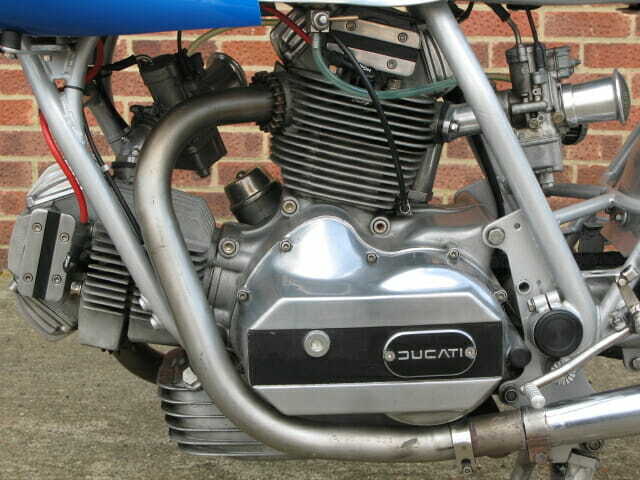 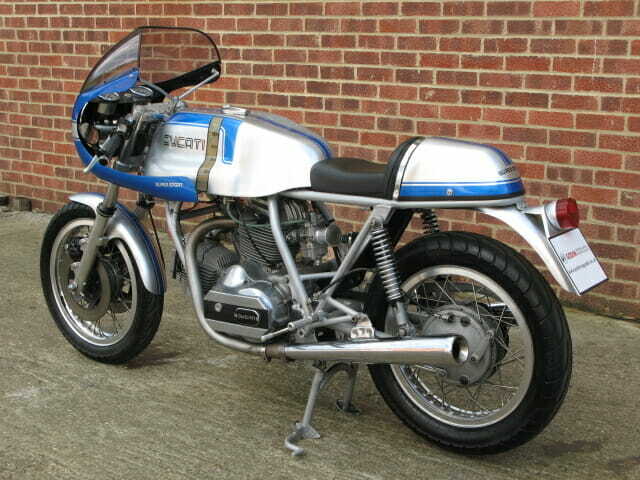 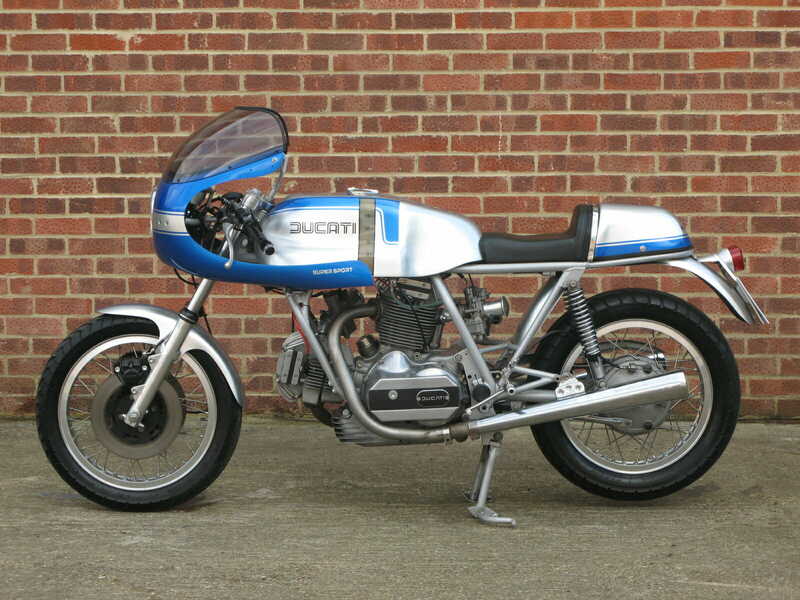 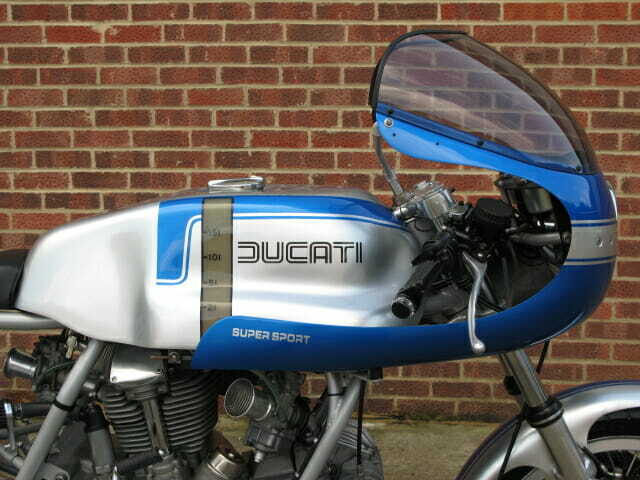 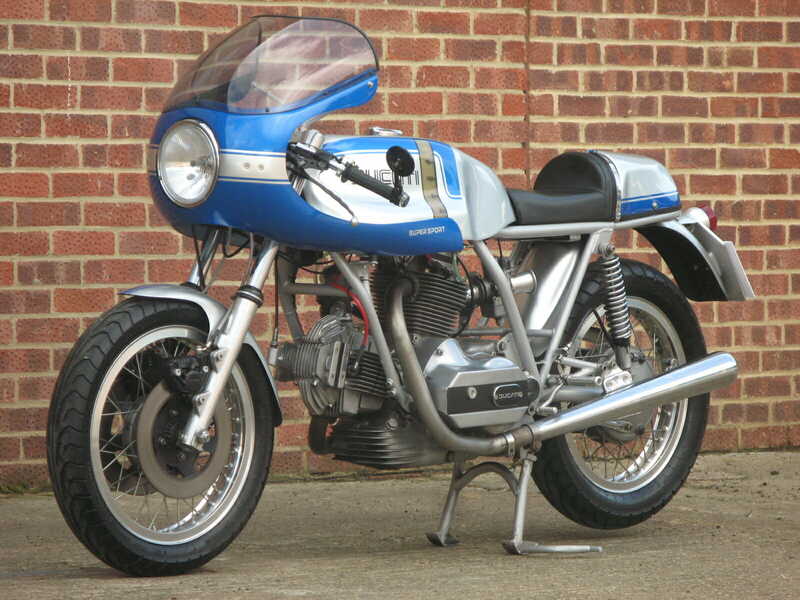 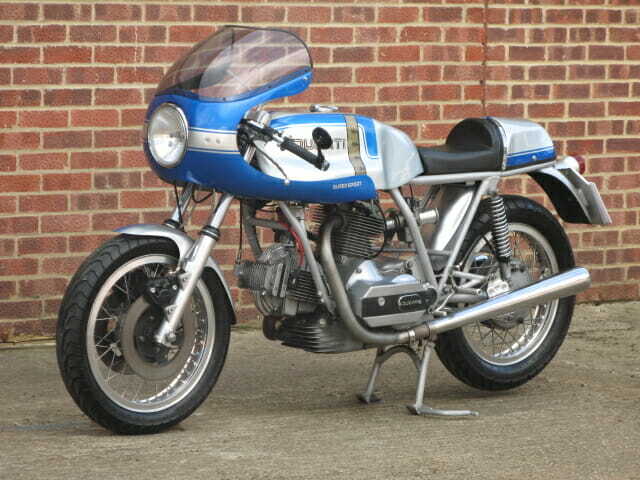 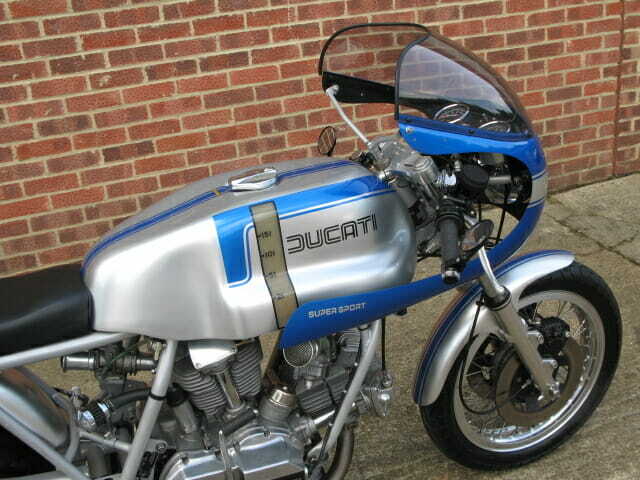 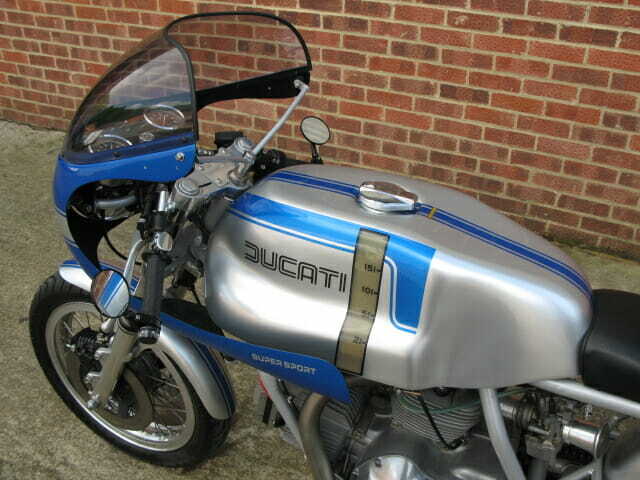 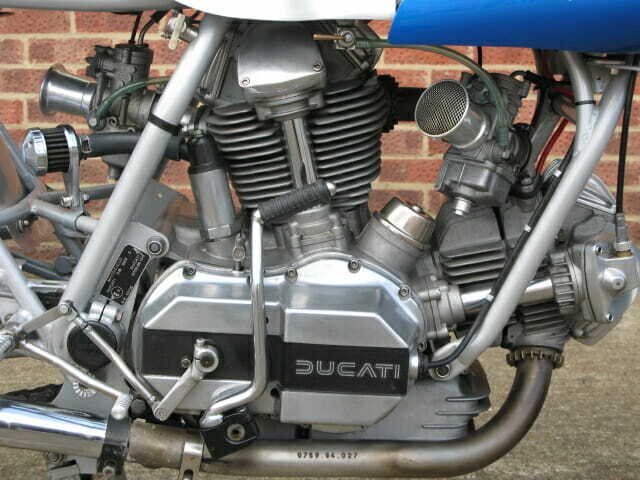 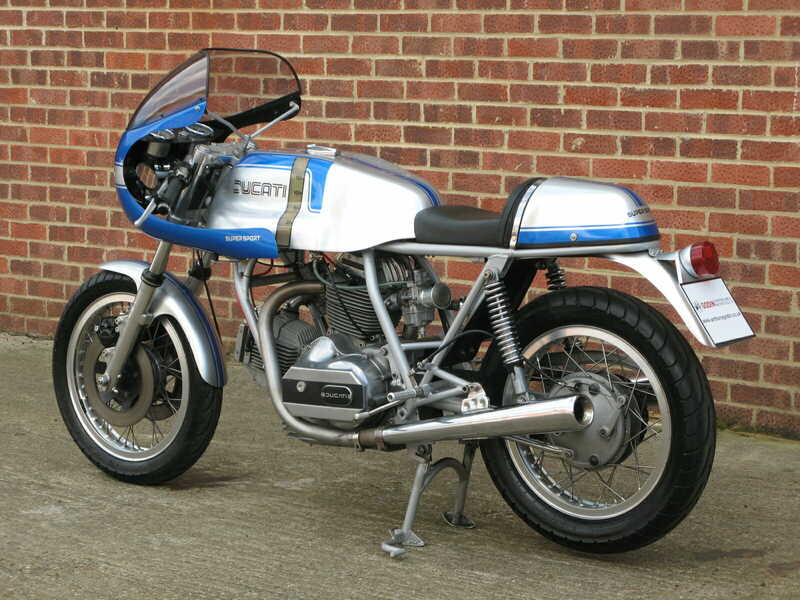 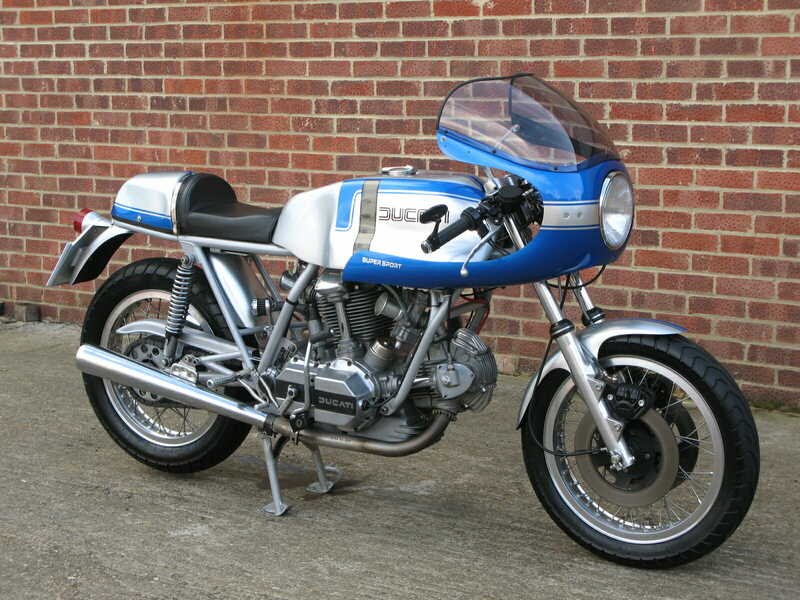 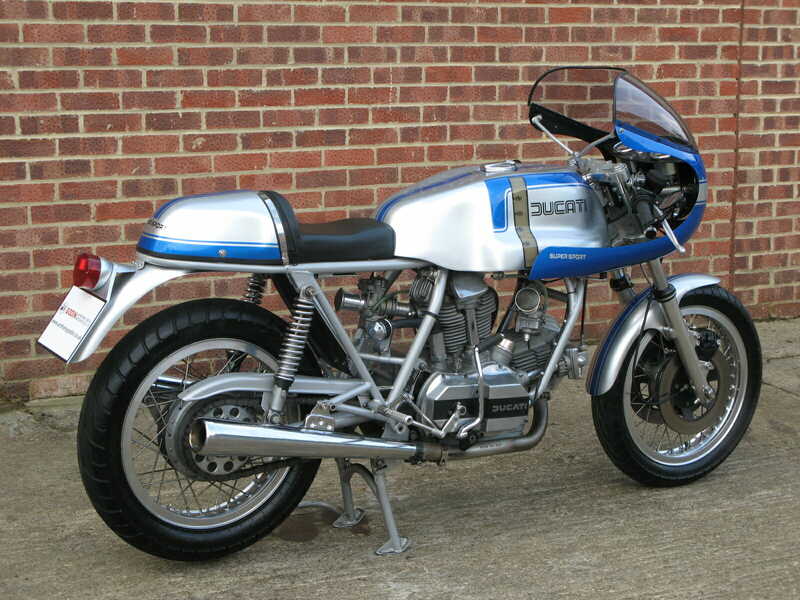 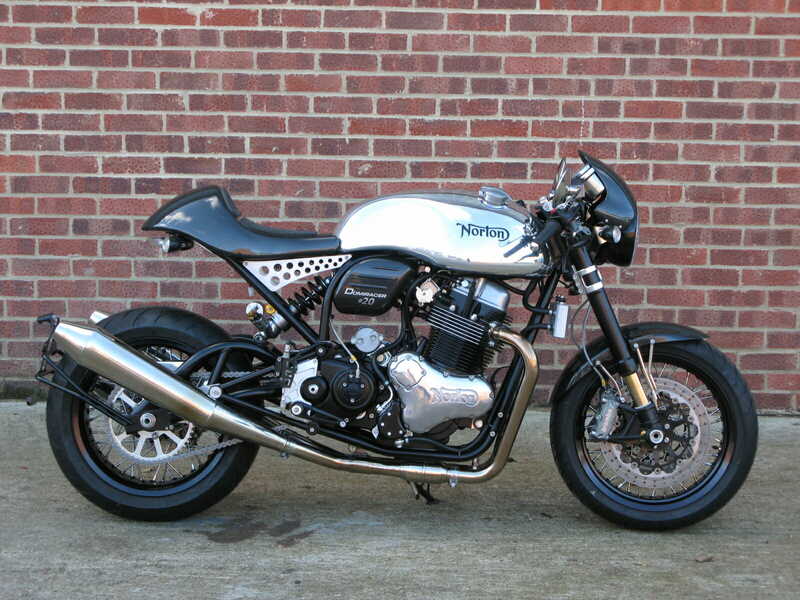 This Ducati 860GT was previously registered in France where it was restored and converted to Super Sport look. 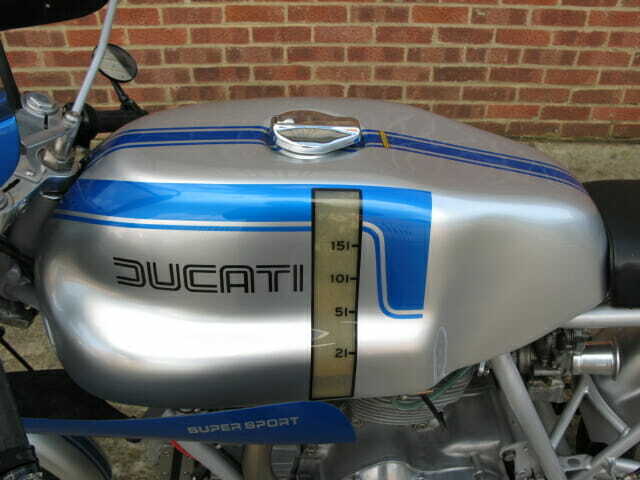 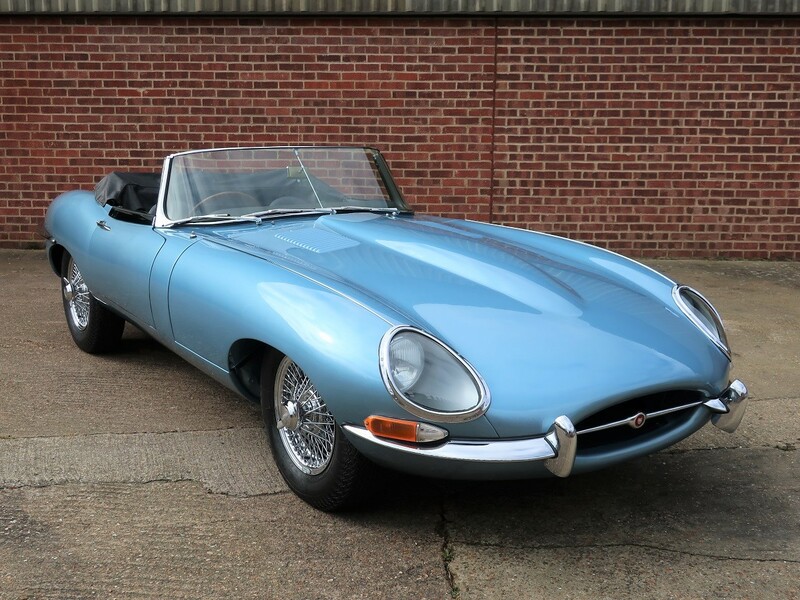 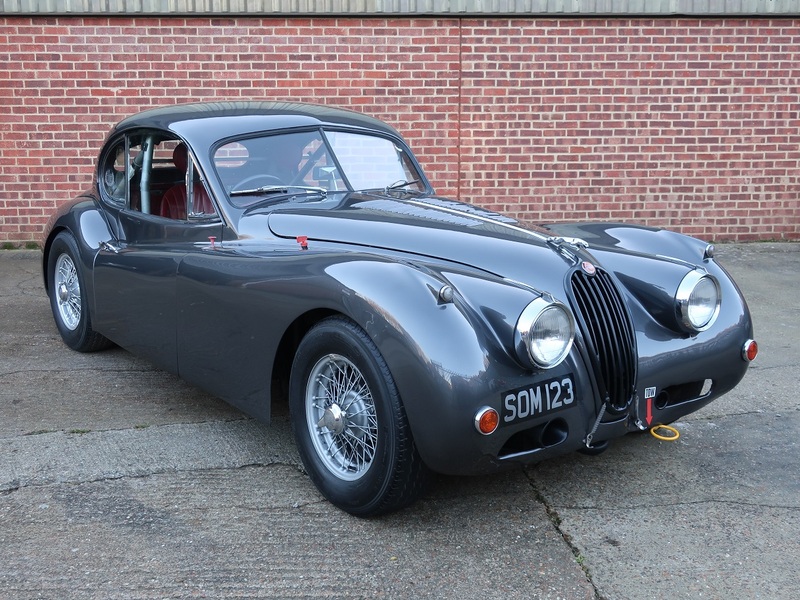 There is no record for this work however on inspection we have noticed that the frame and the body work have been repainted, including the fibreglass ‘Imola’ style fuel tank. 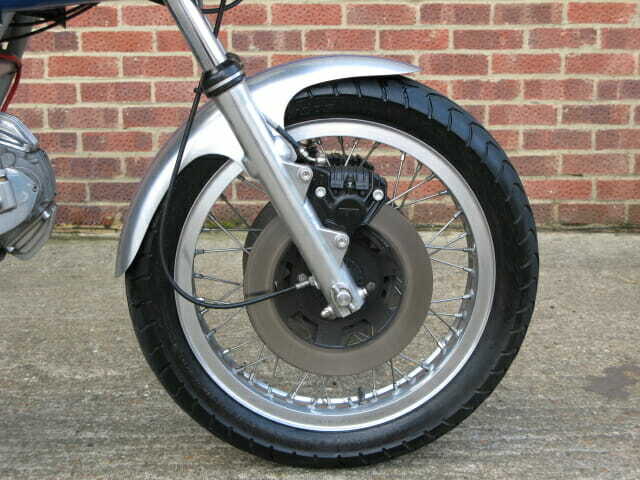 Sitting on Morad alloy rims with new tyres fitted the front fork legs have been polished and the original Brembo callipers overhauled. 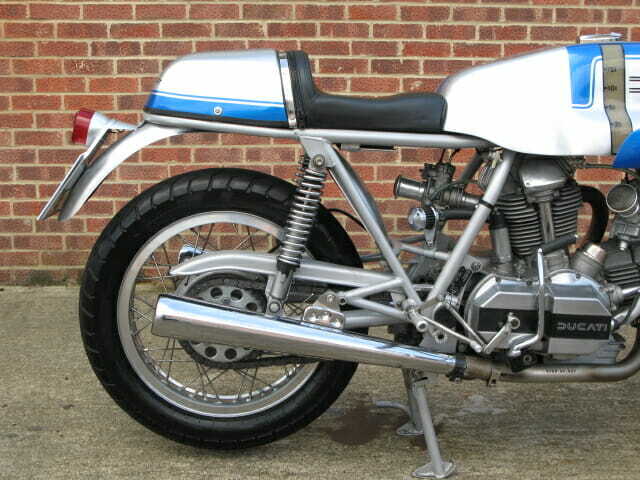 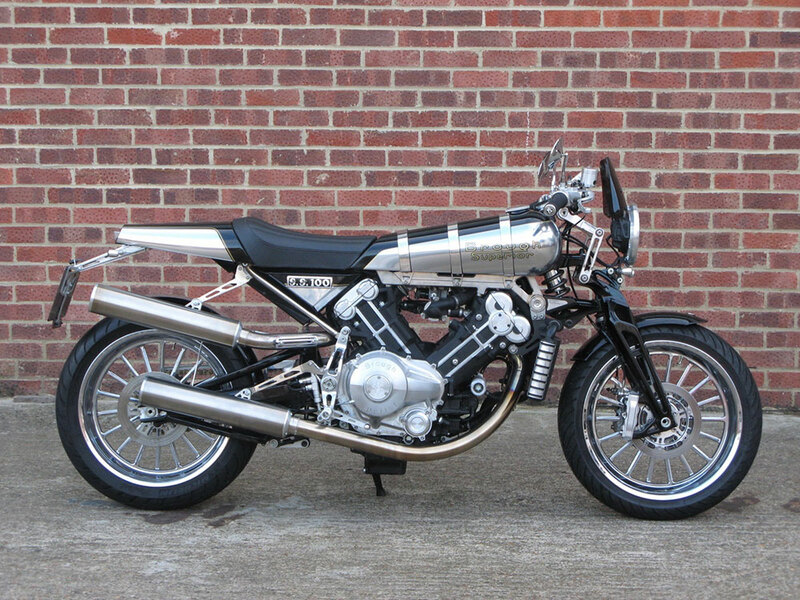 Overall this is a very well presented bike in really great cosmetic condition, it is also in good running order with good mechanics, currently showing 1,446 kms. 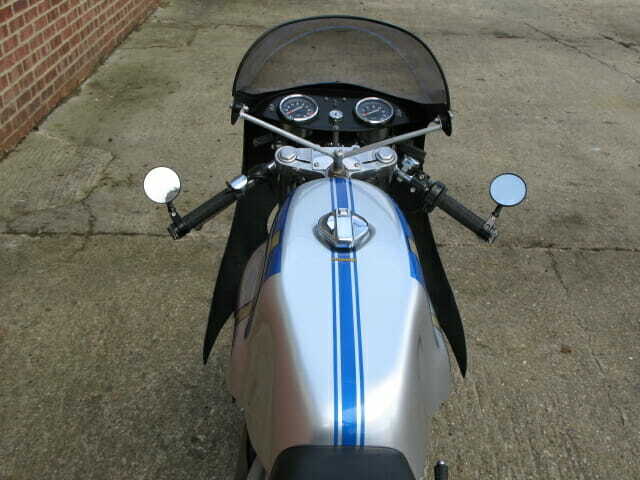 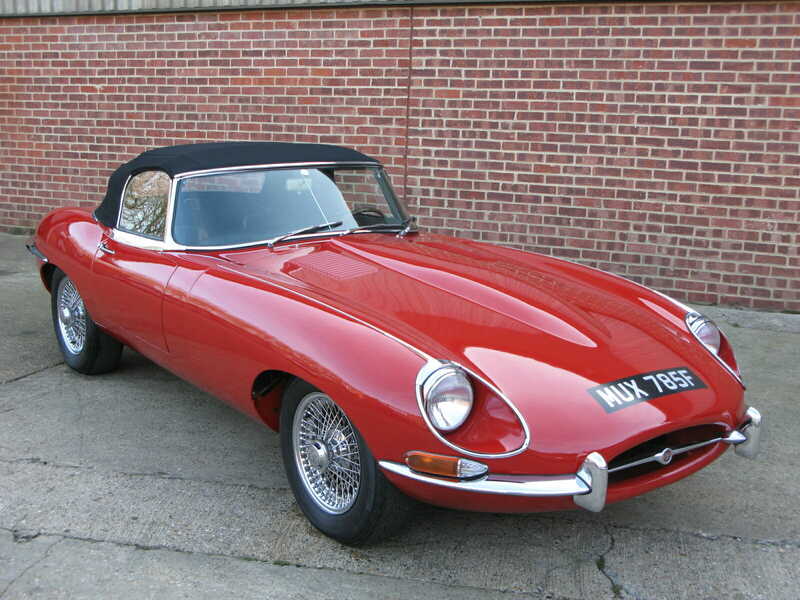 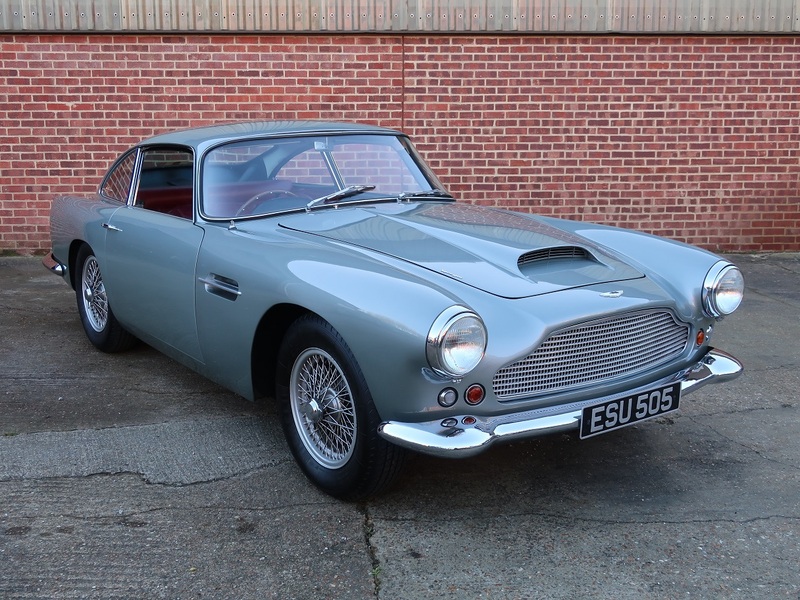 Now registered in the UK with a UK V5 logbook.